Hi there!! I love, love, love your blog and enjoy each and every entry. I couldn't wait to share with you my special occurrence this morning. Unlike NY, we rarely get a good snow here in central VA but lucked out and got about 9 inches this weekend. Selfishly, I was hoping for it simply in getting more birds as there's been a lapse in activity with weird warm temperatures. This morning, so many birds out and about, and while I was filling one of the feeders, I heard my long lost friend the red bellied woodpecker who I haven't seen in a few months. Along with him, I also had first time visitor Mr. Hairy Woodpecker. I live near the city and sadly don't have many trees, so the sighting of a woodpecker is a rare one. I was so overjoyed to see these two, tears came to my eyes. Even a few moments glance makes weeks of no activity so worth it. Keep up the awesome writing!! 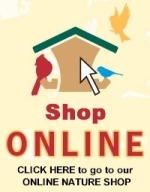 Just purchased a bag of bird-friendly coffee, had not heard about that. Thanks for mentioning it. My birds were slow to arrive at the feeders this morning also. Unfortunately, we got ice instead of snow. They are loving the heated birdbath I have on my deck, that seemed to draw them first this morning. The Eastern bluebirds, chickadees and titmouses enjoyed the fresh meal worms I put out several times today. We are not " birders" but do enjoy watching the birds outside our kitchen window. 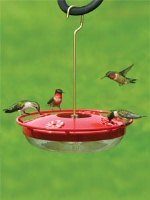 We have several feeders and put out black oil sunflower seed feeder last week. We usually see many birds in winter. So far this year we have almost none. Small number - ten or twelve - house wrens every few days. Only one black capped chickadee, once. No others that we see. We have fat squirrels but no birds. We live in Lewiston, NY about 3/4 mile from the lower river and have had VERY little snow. We even see but few birds when driving down Lower River road. Nice post, Nancy! Conditions have been very similar in my yard.